Go for hot air balloon rides in York! Have you ever tried hot air balloon rides in York? 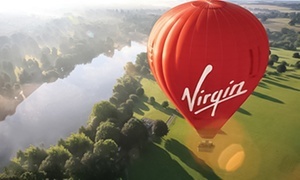 If not, now a perfect opportunity has arisen to do so - vouchers from Groupon for hot air balloon rides in York. Hot air balloon rides are now available cheaper than they ever been. This is only possible if you have our vouchers. Only with them, you can save up to seventy percent off the regular price! Now that is a substantial discount! Our leisure offers always combine high value and massive discounts. This offer is no different. You should inform your friends and family about this wonderful opportunity. They too will have a great time with hot air balloon rides in York. Vouchers for hot air balloon rides in York! Groupon made it possible to afford to go on a hot air balloon rides in York. Moreover, hot air balloon rides are only affordable if you have our vouchers. Only with one of our vouchers, you can save up money on this experience. Get our vouchers and enjoy our leisure offers! However, you have to hurry up because, due to its popularity, this deal may expire soon. If you don't want to miss out on this amazing opportunity, then act fast. Saving up money has never been so enjoyable. Use our service and make it a habit to demand more. If you have read the Classic Around the World in 80 Days by Jules Verne, you were probably enchanted by Phileas Fogg's use of a hot air balloon, to circumvent an avalanche blocked Montfort Tunnel which threatened to delay their journey to Marseille as he hastened to make a trip round the world in 80 days to win a wager. This might have made you as a child while reading the book wonder how it would feel to travel on a hot air balloon. Well the chance is here and you can take advantage of the leisure offers being made for a ride on a hot air balloon through cheap offers for Hot air balloon rides in York. Groupon vouchers will allow you to fulfil your childhood desire by taking budget hot air balloon rides and seeing York from the top of the world in a huge flying basket, literally. .Sip champagne as you take a leisurely ride on a hot air balloon in York with your loved one. Celebrate your anniversary, a birthday or any other special occasion by whisking her away on a romantic journey just for two in the air. You will have a bird's eye view of York and enjoy the sights as you have your heads up in the clouds giddy with excitement. This is an experience you can only get by snapping up the deals for Hot air balloon rides now.